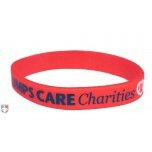 Support UMPS CARE Charity with this umpire wristband. I wear this daily and it strikes a conversation daily. Great cause and I'm glad to bring awareness to it. Proud to wear and support a cause! Support a great cause. Part of the Umpire Fraternity. Two Thumbs UP!! !